I found an Excel-based form that lets you create a family tree pretty easily. I added a new option to the Document Gallery called Family Trees. I have posted a KNAPP and a KLINE family tree diagram there. 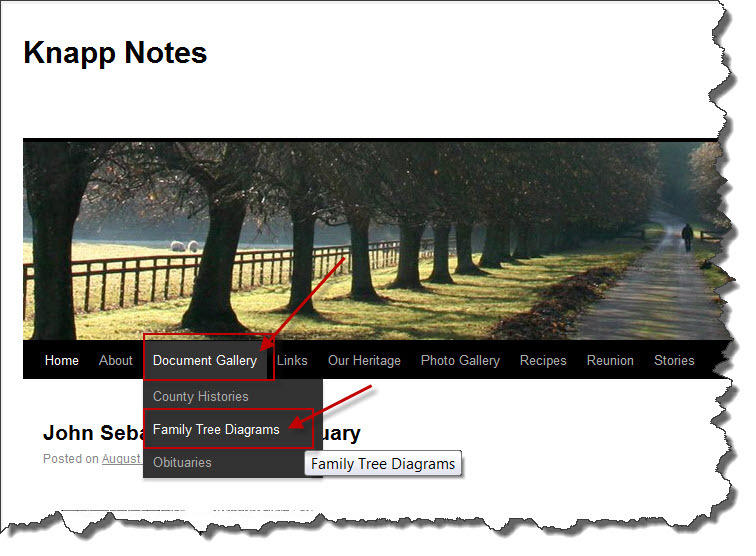 You can visit the Document Gallery >> Family Tree menu path to view the trees. This page is password-protected. I have also added a Templates tab to the top of the blog. The Templates tab contains blank forms you can use for your own genealogical research. This entry was posted in Family History, Genealogy How To's, Portage County and tagged family tree form in Excel, genealogy how-to, Kline, Knapp. Bookmark the permalink.